This year’s British Swimming Championships is the meet to watch, serving as the nation’s selection for the 2019 European Youth Olympic Festival, the 2019 European Junior Championships, the 2019 World Junior Championships and the 2019 World Championships in Gwangju, Korea. The Para Swimming meet represents the one and only opportunity for British Para-Swimmers to stake their claim on a roster spot for the World Championships in Kuching, Malaysia. The 6-day British Swimming Championships are slated for April 16th – April 21st. The competition will include a 3-final format, including an Open Final containing the 8 fastest qualifiers of each event, irrespective of age; a Transitional Final containing the next fastest 8 competitors born 1996 or later; as well as a Junior Final containing ages mirroring those of World and European Junior Championships. Although the Championships are technically ‘open’, where competitors from any country affiliated to FINA can race in prelims, only British swimmers are able to advance to the finals. New for 2019, one of the three ticket tiers available for finals sessions is a Golden Ticket, which gives spectators a front row view of the finish line, as well as the chance to meet an athlete as part of their event experience. 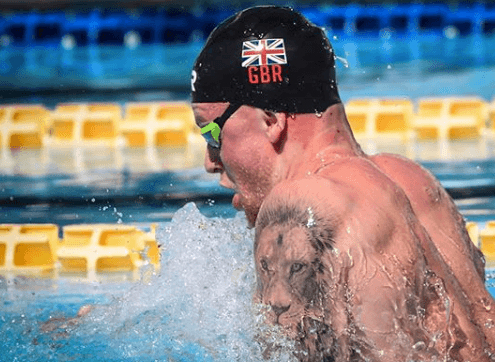 The British Para-Swimming International Meet 2019 will once again double up as one of six legs of the World Para Swimming World Series, attracting the best para-swimmers from around the globe, raising the level of competition year on year. like its ever a sell out….